Listening to CDs used to be exciting. Gone was the scratchy sound of vinyl records and in its place was high-definition audio that rocked your socks off. Then CD players got lazy, leaving listeners with an uninvolving sound that made them switch off. Until the CD-77, that is. 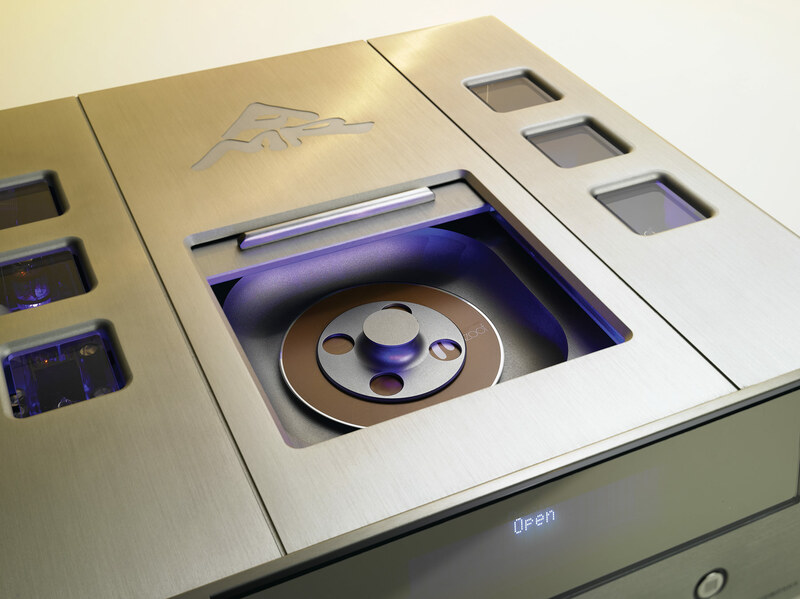 With its aluminium finish, top loading lid and cooling vents, the CD-77 not only looks cool, it feels it too. it’s not hard to see why music lovers have rediscovered their love for the digital disc. All the emotion and enjoyment of the best vinyl with the convenience of CD. It’s easy to see how this dream team enables the CD-77 to play bit-perfect audio. 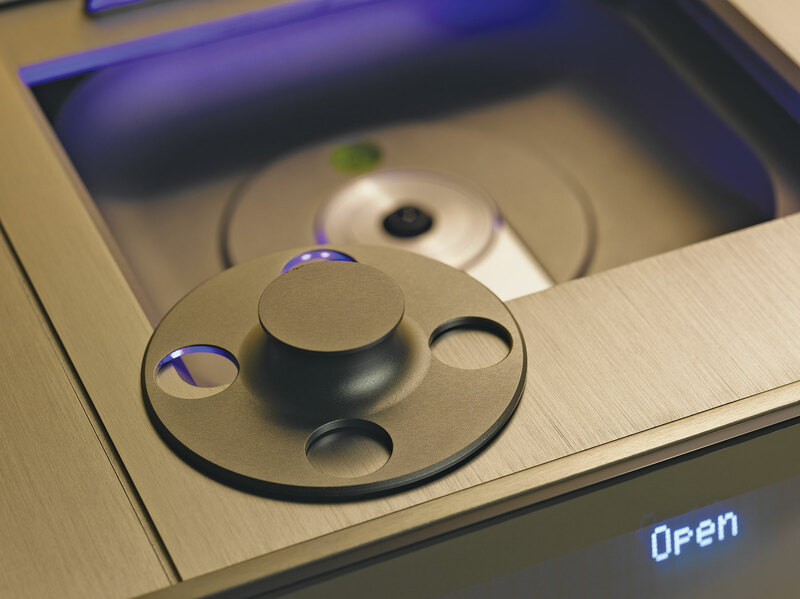 The CD-77 lifts CD quality audio like you’ve never experienced. Dust off those long-forgotten CDs and take them for a spin – memories never sounded so fresh. At the heart of the CD-77 is the Philips TDA1541A Digital-to-Analogue Converter. Despite having ceased production over a decade ago, this chipset was selected as no other chipset comes remotely close to offering so much musical satisfaction. 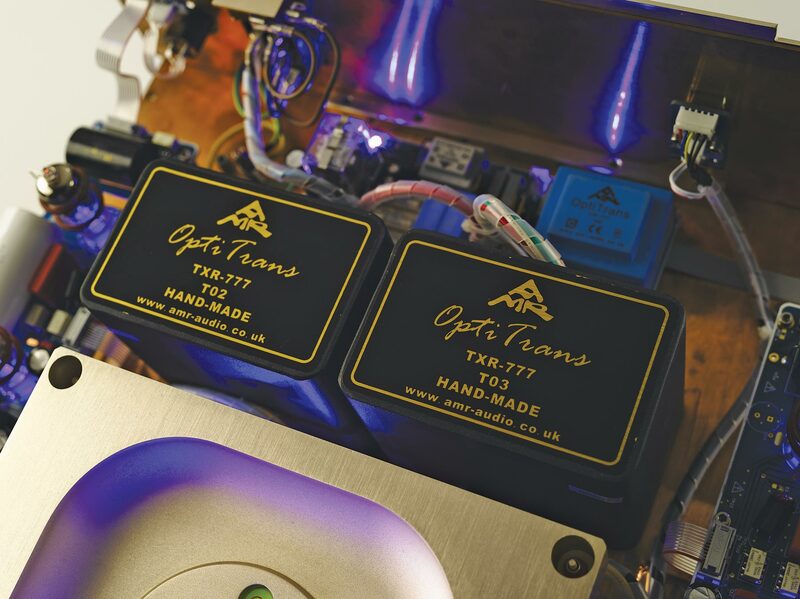 OptiSignal® conditioning circuit takes the TDA1541A to the zenith of compact disk playback, so much so that the CD-77 is able to sonically outperform classic and latest compact disk sources, even those that use the same chipset. OptiClockLock® synchronises all internal clocks to the exceptional military-grade temperature compensated master clock module to avoid the creation of unwanted beat frequencies, reduce overall digital noise and resultant jitter. OptiReg® optimises the power delivery to all digital circuits by being 1000 times more effective at cutting out noise when compared to generic power regulation circuits. 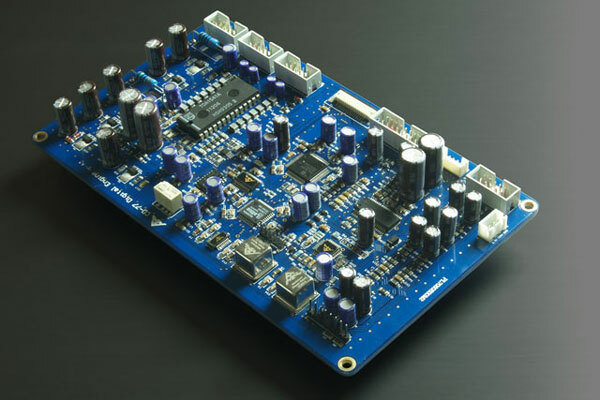 Eschewing the common approach of using a few generic single-stage regulators, the CD-77’s OptiReg® digital power supply circuit has 14 specifically designed regulators, most of which are two or three-stage. OptiDrive® transport mechanism is an in-house transport design. 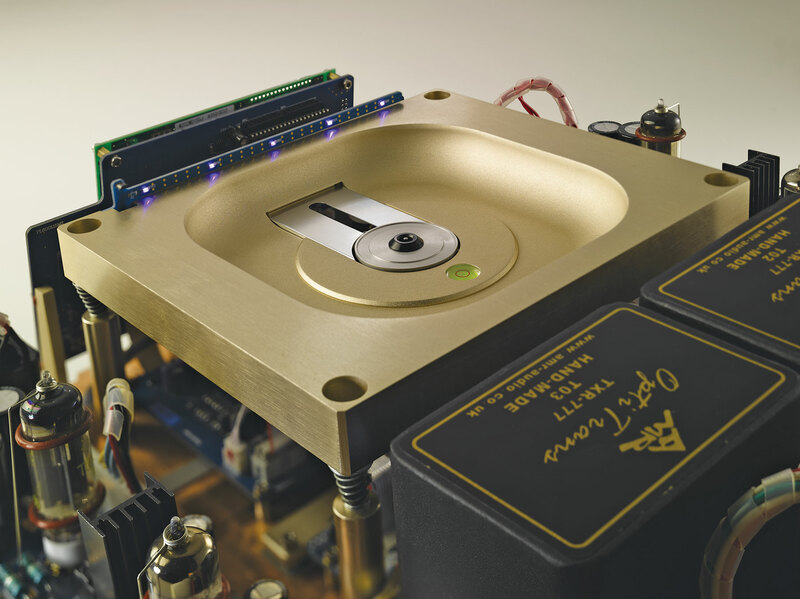 The musical synergy was made possible through using the best genuine components – the high-precision, reliable Sony K-series laser pickup mated to the musical Phillips CD-18 servo system along with a proprietary high-torque direct-drive motor. This is all housed in a very substantial CNC machined aluminium CD well with an extra-stable CD spindle and a CNC machined aluminium CD clamp. 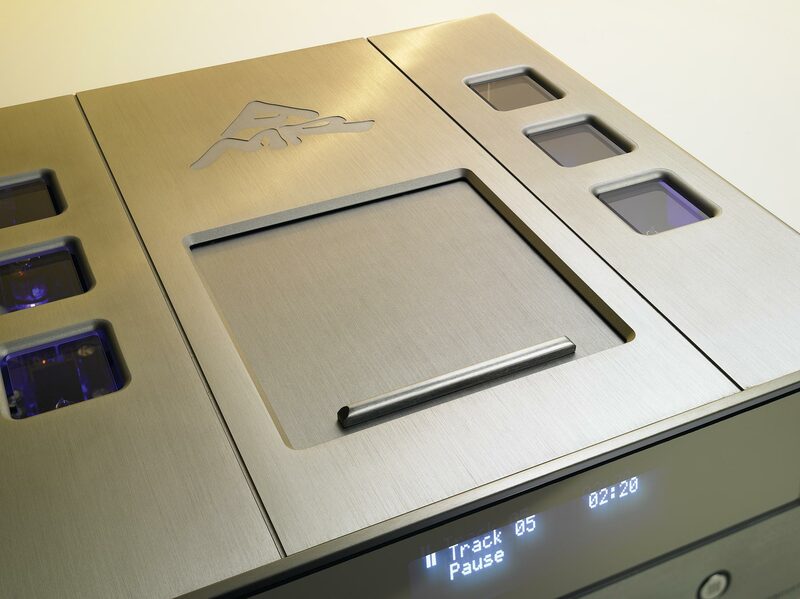 OptiBus® USB digital input accesses the vast library of music from a computer, allowing it to be enjoyed to a far higher level than conventional personal computer audio systems. A major reason for the impressive sonic quality is that OptiBus® ensures far less jitter than if the common S/PDIF interface was used. OptiValve®analogue stage is a revolutionary thermionic electron valve circuit. Using no negative feedback, with high gain, very low distortion and low output impedance together with New Old Stock thermionic electron valves, the performance is simply unparalleled. OptiCool® offers exceptional cooling performance without the need for traditional resonant heatsinks which resonate as many tuning forks. OptiPower® supply circuit is completely free of regulators from beginning to end. This is an essential pre-cursor for subsequent thermionic electron valve circuits operating with no negative feedback to attain the maximum sonic performance. 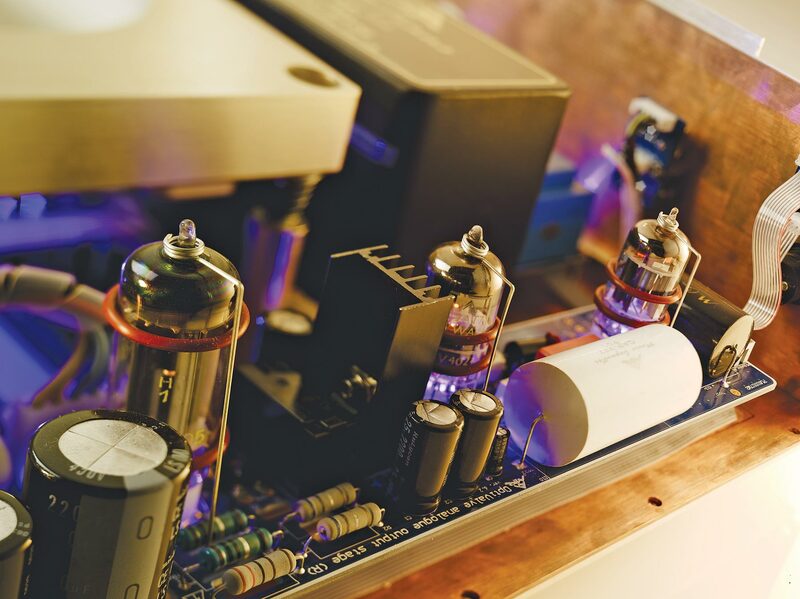 OptiMains® is truly one of a kind in that it will maintain the optimal voltage to internal circuits to ensure the best sonic performance (and longest tube life). This patent-pending circuit will automatically detect, monitor and adjust if necessary, the incoming voltage to ensure the correct voltage is always supplied to the relevant internal sub-sections. 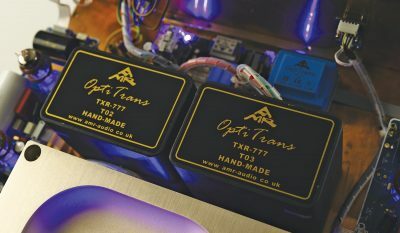 OptiTrans®power supply transformers have been designed as advanced double C-Core types to sonically surpass even the impressive R-Core transformers used in many high-end components and comprehensively outclasses traditional EI and to roidal transformers used in many peer group products. OptiSeal® is the galvanic sealing of functional sections in the transformer and includes the use of separate transformer windings to ensure that noise from one section does not contaminate adjacent sections in a full dual-mono audio circuit design. OptiChassis® is based upon the “ratio aureum” design principle along with a pure copper inner chassis. The result is an unrivalled low resonance signature, optimised electrical and thermal properties. OptiIsolate® supports were drawn from the far more exacting aerospace industry to provide maximum mechanical isolation of the solid aluminium chassis from unwanted vibrations and resonances. 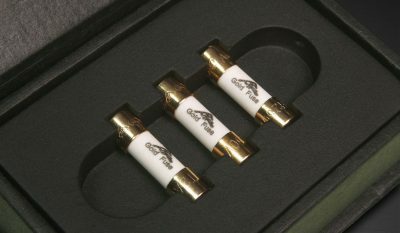 AMR components use premium components chosen after extensive evaluation, lengthy and comprehensive listening tests. These include Ultra High Speed RF, military-grade design printed circuit boards, German-made premium film capacitors, AMR’s own power supply polypropylene film Music Capacitors, low noise rectifiers and FEP Teflon insulated cable with silver-plate copper conductors for chassis wiring. I would like to play music on the CD-77 via the USB Input. Can it play FLAC/AAC/.. type files? Can the CD-77 play 192KHz/24-bit FLAC files? Why select the no longer available Philips TDA1541A chipset? How does the CD-77 implementation of the Philips TDA1541A chipset differ to other designs? Is a ``SuperClock`` used, if not would one improve the CD-77? Why do you not specify jitter using the common (ppm) ``parts per million`` reference? Why the option of different Sampling approaches? What is unique regarding the transport of the CD-77? Does the CD-77 have a memory buffer? Why is the CD-77 not a separate transport and DAC combination? What are your digital input/output options? Why have a USB input? Why is there no transparent lid for the top-loading mechanism? Why is there no socket for headphones? As there are XLR connectors, is the CD-77 balanced? Why do some CDs sound better than others? The USB input on the CD-77 is of the “USB Peripheral” type, meaning the CD-77 will act as external USB Soundcard for a suitably equipped host computer. The CD-77 will not recognise a Data CD with music files nor detect or access an external hard-drive or USB memory stick with music files attached directly to the Player. The CD-77 will work without requiring additional Drivers with all recent PC/Windows systems. 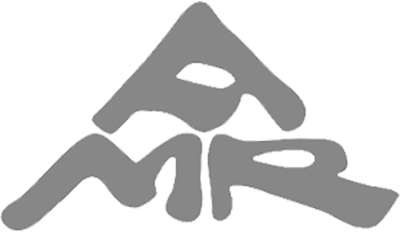 At this stage AMR does not support the use of the CD-77 under Unix/Linux type operating systems. The minimum computer system requirements are: Pentium III, Windows 2000/XP/Vista or Mac G3 or G4 with native USB support, 64 MB RAM, Mac OS 9.1 or greater or OS X. The playback ability for file types is limited only by the playback software employed, for example iTunes on a Mac or Windows Media Player cannot handle certain popular file types. However third party player software capable of handling all known audio file types either natively or via plug-ins exist for both Windows and Mac computers. In our experience, the playback software is no less important to the optimum musical performance as the format itself. Please consult the AMR CD-77 manual for connection details. 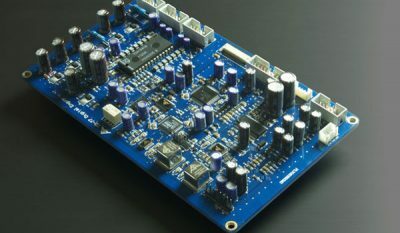 The Philips TDA1541A Multibit DAC at the heart of the CD-77 was designed strictly for CD/DAT use and is a 16-Bit Converter that allows a maximum 48 KHz sample rate. As a result, the USB input to the CD-77 is also set to a maximum sample rate of 48 KHz and to 16-Bit. Music files with a higher sampling rate and/or longer word-length may still be replayed through the CD-77: even 24/196kHz files. This is because most playback software will automatically handle the conversion transparently (using a high quality resampling engine such as SRC or SOX) to 16Bit – 44.1/48 Khz during playback (may require setting changes other than standard). Thus such files may be left in the original higher resolution/sample-rate format and still be played through the CD-77. Notwithstanding, when audio is played back via this medium, regardless of the resolution, because the CD-77 is still fully utilised; the TDA1541A Multibit chipset to convert the signal from digital to analogue which is then subsequently sent through the NOS valves for all the ancilliary power supply sections, the CD-77 is still able to provide superior muscial enjoyment to most, if not all high-end HD capable DACs. For Mac users, having verified the Apple platform, AMR has deemed that the sample rate conversion in OSX is of a high enough quality for both the CD-77 and CD-777. The output sample rate on the Mac platform should be set to 44.1KHz as the source files are mainly CD-sourced and to 48KHz if they are 96/192KHz files. 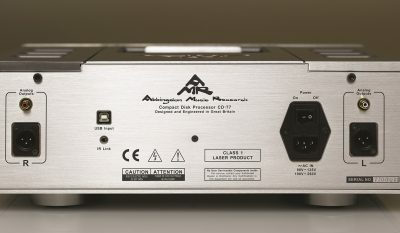 AMR auditioned many of the recent and historical contenders for the title “the King of the Digital to Analogue Converters” and awarded the crown to the Philips TDA1541A. The rationale is that the Philips TDA1541A chipset offers a superior sonic performance which to this day, remains unsurpassed. The Philips TDA1541A was designed in the late eighties: a time when performance not profitability was the objective. As a result, when properly and fully maximised, not even the so-called “latest generation” of DAC chipsets come remotely close to reproducing music as faithfully and involving as the venerable Philips TDA1541A chipset. 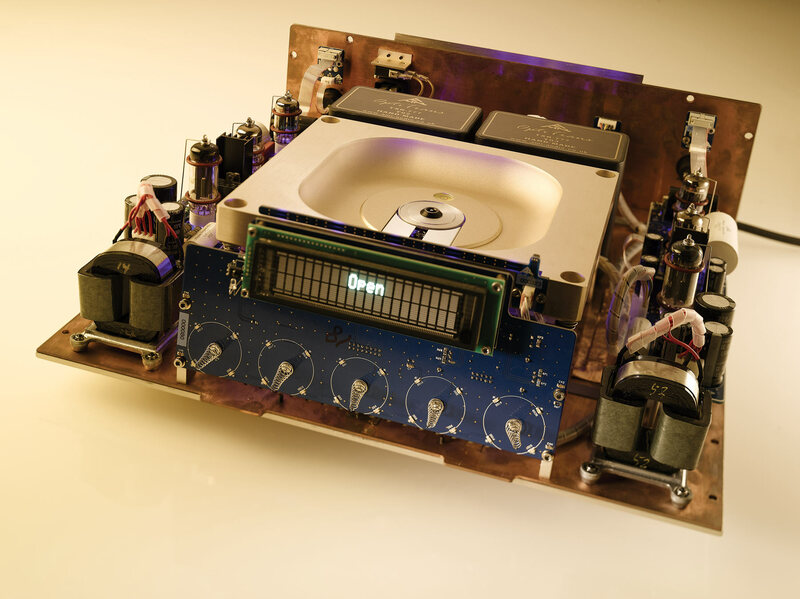 AMR’s research and development team’s prior experience with the Philips TDA1541A in other compact disc players as well as designs of their own told them that the full performance of this chipset had yet to be extracted. Some manufacturers advertise the use of Philips Double Crown TDA1541A chips, which were selected at the time of manufacturing for specific performance parameters by Philips. These can sound slightly better than the standard TDA1541A’s when used in conventional circuits. However, Philips Double Crown TDA1541A chips are not longer widely available and the differences have often been overplayed. AMR went to the drawing board and analysed the Philips TDA1541A at the silicon-die level in extreme detail. AMR discovered a number of areas where correctly designed external circuitry would significantly bridge the small performance gap between the Double Crown and standard TDA1541A chips. From the power supply to the digital input signal conditioning, the CD-77 circuit has been implemented to a degree of optimisation extending beyond anything we are aware of. The implementation is far beyond the simple manufacturer’s datasheet application schematic commonly found in CD-Players and DACs employing the TDA1541A. The resulting core technologies are the OptiSignal® conditioning circuit and OptiClockLock®. Under testing, these circuits considerably improved the performance of standard TDA1541As to a level that was largely en par with Double Crown chips in measured and subjective performance evaluation. (Note AMR used verified genuine Double Crown chips for these tests, as the market has recently seen many standard TDA1541A which were surreptitiously remarked as Double Crown to increase their sales value.) We at AMR believe that the result of all this surpasses most if not all other TDA1541A designs, even those fitted with a genuine Double Crown chip. (please refer to the Advanced Design Features section for more details). “SuperClock” is simply a marketing term. 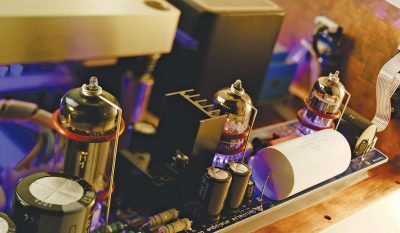 The CD-77 uses a military-grade crystal oscillator equal or superior in specification to any of the industrial-grade so-called “Super Clocks” offered as an aftermarket modification. 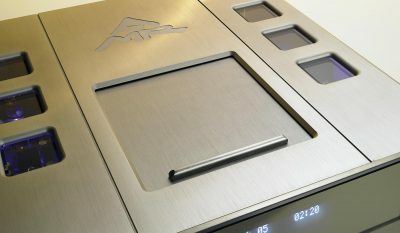 AMR has combined this master clock with a dedicated power supply whose noise performance is at the limits of what is physically possible. CD clock crystals are often promoted using a measure that specifies the difference of the actual frequency from the nominal frequency, usually specified as the deviation in ppm (parts per million). It should be noted that this specification has no bearing whatsoever on the jitter in CD players as it is a purely static measurement. Phase noise in the clock is the primary cause of jitter. No reliable and standardised protocol exists to measure and specify jitter in a form that makes measurements comparable. AMR as a result, has chosen not to publish a specific number that would not be reliably comparable to the numbers published by others. 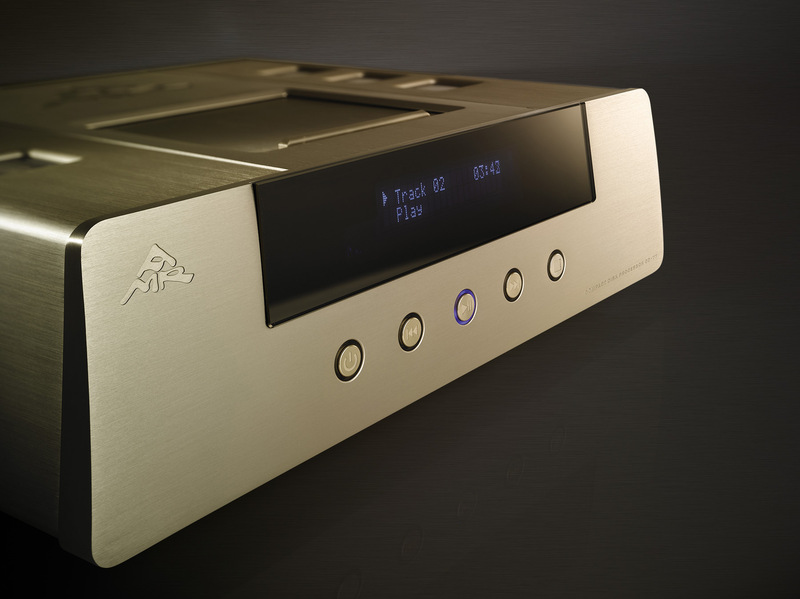 Rest assured that the CD-77 offers one of the lowest levels of phase noise of any CD player produced. 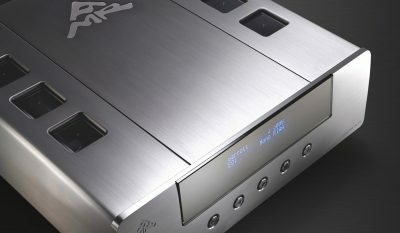 In recent years, a technology known as “Upsampling” as well as one called “Zero-Oversampling®” or ” Non-Oversampling” have gained popularity with CD player and DAC manufacturers. Having compared these approaches to traditional “Oversampling” we at AMR feel that in most cases, the omission of Oversampling or Upsampling and the use of a simple analogue circuit, is the most musically satisfying. However, in a significant minority of recordings, we found that either traditional Oversampling or Upsampling was preferable. Therefore, we have implemented all of them and made them user-selectable (please refer to OptiSample® in the Advanced Design Features section for more details). Philips Electronics ceased production of its own ‘industrial standard’ compact disc transports in 2001. Presently, new so-called Philips CD transports are far-eastern clones constructed to much lesser standards and are of questionable reliability and are the only remaining off the self dedicated CD transports. Furthermore the exceptional Victor (JVC) transport the XL-Z900 was based upon has been discontinued and several other suppliers of high quality transport solutions have cancelled their CD lines in favour of Multiformat DVD designs. 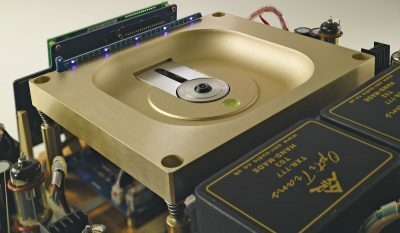 At AMR we found that if CD replay is the desired application neither computer CD Drives nor the current “universal” DVD based solutions perform equal to the highest quality dedicated transport mechanisms. AMR therefore set out to create a proprietary CD transport system that would provide the same or better performance than the legendary transport solutions of yesteryear, be they the original Philips swing arm type transport or Victor’s XL-Z900. AMR combined genuine parts from a number of major manufacturers and mounted these to our machined platform. This platform is then suspended on dampeners to isolate the Transport further from any vibrations. The resultant OptiDrive® transport maximises the accuracy of the data retrieval. (Please refer to OptiDrive® in the Advanced Design Features section for more details). Yes, the CD-77 has a 16-frame buffer (or 512K Bit of Memory). That said, nearly all CD players have a memory buffer of one form or other. This buffer is used among other things to allow for error correction if the data is read incorrectly. The error correction, IF implemented correctly recovers the original data through the use of redundant data written to the CD in almost all cases. This process does NOT “interpolate” but actually recovers the exact data originally written on the CD. The necessary calculation may however take a short time. Without a large enough buffer, the timing of the data would be effected negatively. Only in case of gross problems does the error correction fail and then ALL CD-Players, even computer-based ones or software such as Exact Audio Copy, will first attempt to interpolate samples that cannot be read correctly (in many cases the software will first attempt to re-read the samples several times) from samples before and after the affected area. The data transmission from the drive to the DAC is timed by the clock supplied to the CD-Transport or generated in the transport itself. The spindle motor servo keeps the buffer normally 1/2 full and therefore is linked to that master clock indirectly. If the master clock driving the transport is accurate and the buffer large enough (8 frames or more) the output from the memory buffer is “jitter free”. Some chipsets designed for portable CD Players have a larger amount of memory, to provide “jog proofing”. This means that even if the player is violently shaken and hence mistracks, several seconds of music are in the buffer and the player normally can re-acquire tracking before the buffer runs out. Other than this (which is of no relevance to a CD Player used at home on a solid surface) there is no further advantage from excessively large memory buffers and such buffers usually slow down operation, by delaying the time from pressing play to hearing music by the time needed to fill the buffer, track skipping etc is equally delayed. The situation changes dramatically if we use a separate Transport and DAC linked via S/P-DIF or AES/EBU cables. The problem when using a DAC with an S/P-DIF or AES/EBU input, which combine the data and clock is that the DAC itself must recover the clock from the datastream, which is not a very accurate process and made more problematic by the specific way the clock is modulated to carry the data. To address this significant problem, additional memory buffers have been occasionally used in the highest “high-end” DACs, both pro-audio and consumer audio in order to allow a local clock which is NOT PLL synchronised (PLL = Phase Locked Loop – a process analogous to Negative Feedback, except in the time domain). 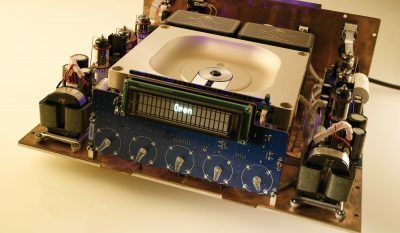 The clocks between CD Transport and DAC may now differ to a small but significant degree. The CD Specification allows +/- 1000ppm or 0.1% deviation, meaning that up to 1 in thousand samples would be “too much” or “missing” per second, so the memory buffer must hold many more frames than the one in the CD player. In fact, it needs to be able hold around 44 frames per second playtime of CD. Thus the minimum memory buffer needs to handle around 210,000 32-Bit frames of under or overrun and needs at least 2MB in size to accommodate this. Further, the buffer would need filling with 210,000 frames and would introduce around 5 second delays between data being read and received on the audio output. As no “off the shelf” solution exists to provide such a memory buffer, it would need to be designed from ground-up. We hope this brief explanation has shed some light as to why DACs very rarely have memory buffers (no simple and readily available solutions) and CD-Players always have them (< 1KB required to work properly and built into most commonly available chipsets). The key to high sound quality is not in the size of the memory buffer, but first in the implementation of the mechanical system to maximise the correct reading of data followed by the error-correction routines, which requires extended routines beyond the original “red book” specification to correctly recover the original data. This correct and original data then needs to clock into the DAC with a precise, jitter-free clock, so following the mechanical implementation of the drive, equally important is the master clock for the CD player. In summary, yes the CD-77 as a one-box processor, has a more than ample 16-frame memory buffer but so does almost every other compact disc player. However, DACs need much larger memory buffers but due to the lack of a readily available solution, very few actually have a buffer. The only methods to transmit data between transport and DAC that are standardised are S/P-DIF and AES/EBU. As these combine clock and data signals, they produce higher levels of jitter than found in well-engineered single unit players. While AMR could have implemented a non-standard, proprietary connection, such as an implementation of the I2S bus, none are suited to long transmission distances and no common standards exist. By keeping all digital circuits within a very compact 4 inch square area, we negated the introduction of jitter arising from long connections. We kept the analogue stages very close to the digital to analogue converter, to avoid introducing noise and distortion picked up from the outside. We also include the power supply in the same case to ensure that clean power is generated where it is consumed rather than being sent over long cables as with a two-box setup, which would again, pickup noise and distortion. The Digital to Analogue Converter section selected by AMR together with the thermionic electron valve-based analogue stages provide a performance far superior to that of most stand-alone DACs. During the original conception of the CD-77, there was no standard to allow for the connection of a transport to a DAC without introducing substantial levels of jitter. However, in the last two years, the technology for transports and DACs has matured. 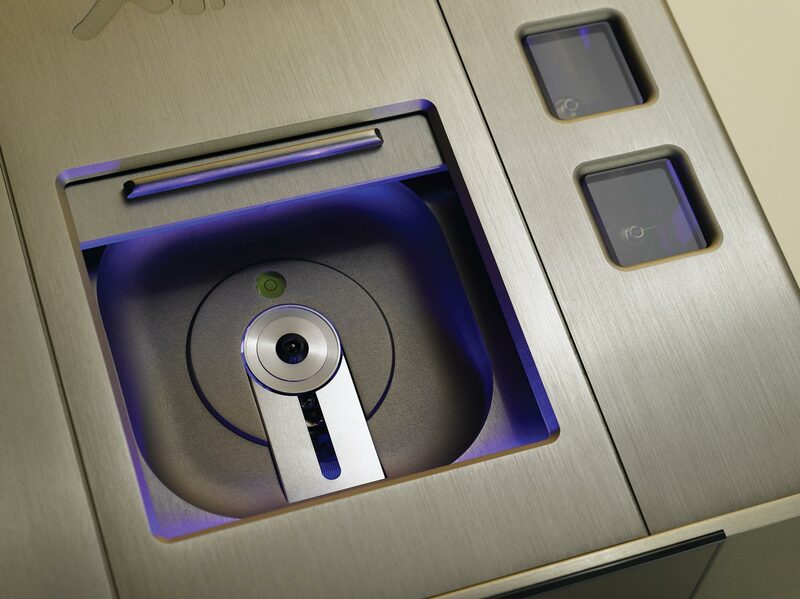 We have therefore developed a “jitterless” solution which we first implemented in the CD-777. We have now applied this solution to the CD-77 and from the beginning of 2010, there is an option for the CD-77 to ship with S-P/DIF input/output via RCA. 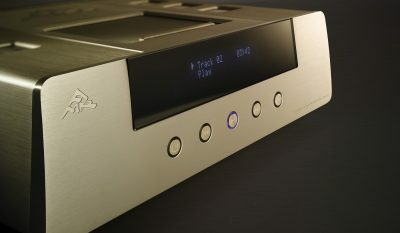 In effect, this means the CD-77 can also serve as a dedicated transport or DAC via S-P/DIF as well. In recent times, although many music formats (including WAV, AAC, WMA, MP3 etc.) have become computer-based, the sound system of most computers however, leaves much to be desired. 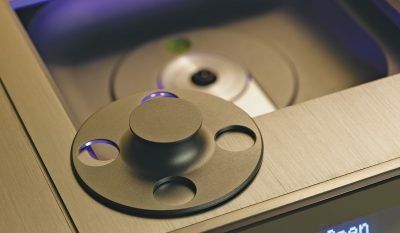 The USB input of the CD-77 allows its superior digital-to-analogue conversion and analogue stage to be used in the replay of computer-based music formats to the same level of quality provided by the CD-77 for compact discs. (please refer to OptiBus® in the Advanced Design Features section for more details). CD is an optical format. The presence of varying external light conditions such as that admitted by a transparent lid was found to be detrimental to the sonic performance. Virtually all CD Recordings are made for speaker replay. Thus reproducing said recordings via headphones is neither satisfying nor realistic. In order to improve the situation somewhat, a significant amount of analogue or digital processing is essential. 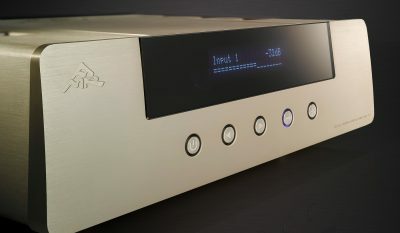 AMR felt that the inclusion of these would have exceeded the design remit for a CD source and is better placed in a dedicated headphone amplifier which includes the required processing. Such properly executed headphone amplifiers are readily available from specialist manufacturers. No. The CD-77 uses a completely single-ended signal path as we have found this to give a more realistic reproduction of music. However, in terms of sound quality, we found the XLR connector preferable to the RCA connector, even when used with un-balanced signals. 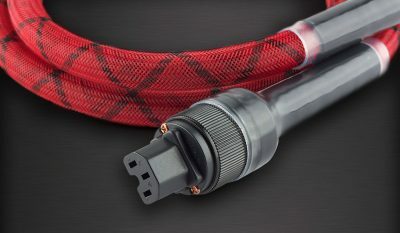 Consequently, we have offered the XLR output in a manner that is fully compatible with balanced equipment: takes full advantage of balanced connections yet retains the desirable single-ended signal circuit. Between different recordings usually, the techniques used to record as well as those used to master the recordings differ: as do the skills and aims of recording engineers and producers. Therefore, it is very unlikely that two CDs recorded and produced by different engineers and producers will sound identical. Some engineers and producers are better able to achieve better sound quality recordings than others. The CD-77, is a real-world luxury product, packaged in a convenient metal protective flightcase, suitably equipped with handles, and soft-padded sections for cushioning along with a host of accessories as standard equipment. 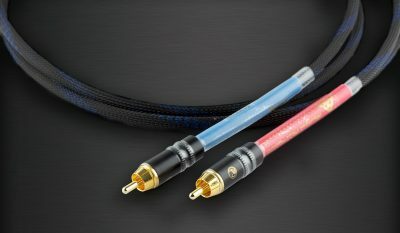 It should also be pointed out that designed specifically for this player, is a high-quality set of analogue interconnects, part of a future range of cables – which of course does not mean that you cannot experiment with other cables and the like. The CD-77 Compact Disc Player is a top-loader. The cover was made with care and attention to detail down to the smallest details, which seems the norm for this player. The design is one of pure refinement. From the solid chassis which is finished with a beautiful outside in a sparkling Champagne casework. The upper casework where the solid CD door is located, is secured by bolts. 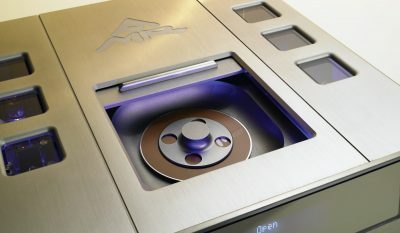 The CD drawer is opened/closed by hand to expose the CD well. Apart from the drawer, the topside of this machine sports six (three on each side) pretty large “window”, glass elements. These are used for cooling of the internal valves by convection. Top, sides and front are made of thick aluminum, making the whole, rigid and extreme. Placed at the front is a single row of cast light metal buttons, acting by the delicate touch of a finger. 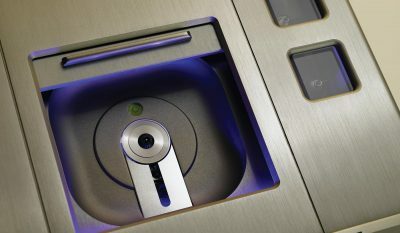 Upon activation, the surround is lit in light blue – a simple solution, but highlights the class of the overall construction. Next is a large acrylic patch from which the display shows the data and selected digital input. Indeed one of the most important characteristics of this device is the ability to use of different types of digital filters or their total exclusion. Available are: I, Direct Master, Direct Master II, 2 x Oversampling, 4 x Oversampling, Upsampling 96kHz, 192kHz Upsampling. At the back we see analogue outputs- high quality RCA and XLR, as well as an input Digital USB. The interior is divided into clear sections. Located in the middle of the drive are electronics from Sony and Philips, suspended under a heavy, solid element. The entire platform is supported by springs. At the bottom of the plate is the control system CPLD (Complex Programmable Logic Device) and DSP (Digital Signal Processing), which make the Upsampling and Oversampling, and D / A converter. The latter is another highlight – a comprehensive, 16-bit system, dating back to the beginning of the Compact Disc format: the Philips TDA1541A. To the sides you see the left and right analogue channels and their respective power supplies. In the amplification section, triode Mullard ECC81/12AT7 NOS valves and 5687/6900 Philips for the output section from military stocks. Voltage is regulated through EZ80/6V4 Mullard. For the valves, you see the O-rubber rings to minimise microphonics. The approach is to use only the best parts such as Mullard, metallized resistors and high quality of power. Voltage is supplied by two large, transformers shielded with 12 secondary windings. A separate transformer is used to power the display, usually most machines do not use a separate item. Nothing is overlooked – each section from the laser lens after the engine, etc., has its own power supply. 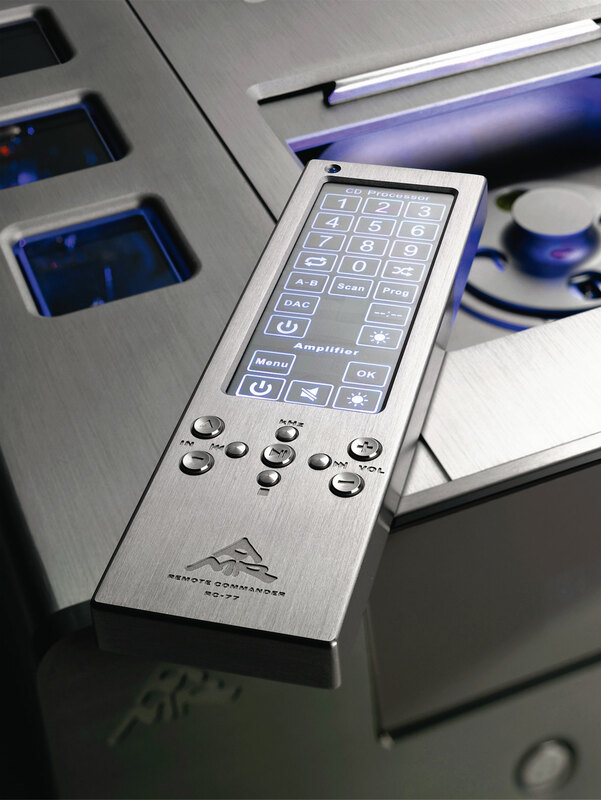 The remote is metal, made of aluminium with touch screen controls and a few “hard” buttons. And now a few words about the original digital-to-analogue TDA1541A converter. This Philips chipset launched the golden era of chipsets for CD players CDs, such as the legendary Marantz CD12/DA12 still used by the well-known reviewer, Ken Kessler and treated by him as his reference. The Philips TDA1541A uses external digital and analogue filters, allowing designers to choose the optimum filter path. This is different from “successors”, as well as modern converters, where the filter systems are built-in and did not give the opportunity to be changed or improved. In addition, such systems often necessitate compromises associated with their size, resulting in higher noise and levels of jitter due to the small distance between each element. 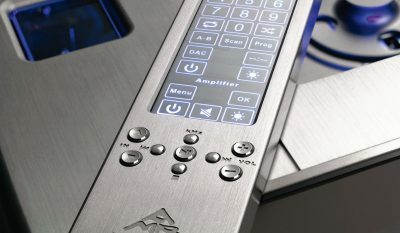 At the end of the day, the Philips TDA1541A offers the possibility of subsequent selection of components for the designer to squeeze the maximum performance from this unique system. A feat that is only possible with this chipset. CD will never sound like the best analog turntables, but it can be close in many respects. The AMR CD-77, with a special design and several proprietary approaches, such as Direct Master I (without the digital and analog filters) and Direct Master II (no digital anti-aliasing and analogue filters) can obtain spectacular sound quality, with full and saturated colors. It is always the case that these devices are high-end products that arouse strong emotions and generate great curiosity. 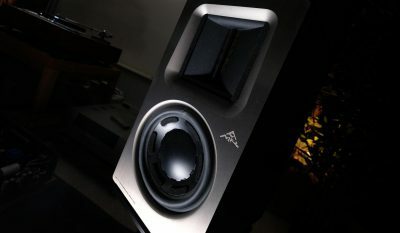 As a rule, from high-end audio components, one expects something that from the first bars will result in music, to set the tone. This compares well to a sports car – a powerful engine and fantastic brakes cause a racing of the pulse with blood pumping in the veins, as it begins to stir our excitement. Our editing team is not short of such people to handle fine audio components from around the world. However, we also have some people that are less fanatical about the subject of audio but with such components as the CD-77, both groups of people we always see their reactions, due to the discovery of something that redefines the norm.Some sound characteristics from our system, which previously was not heard we can now ascertain, in a completely different way. Thus, both sets of testers, as well as observers can make new notes that draw different and sometimes surprising conclusions. In the case of CD-77, this is one such machine that one can ascertain from an early stage that does not identify with the normal adjectives.Once removed from the beautiful metal flightcase and after placing on a suitably solid surface and upon powering on, this player commenced its power pre-conditioning. By pressing play, the mechanical action is as smooth as touching sawdust. One becomes excited one the CD is placed in the transport to create another round of increased tension as one awaits for something spectacular and unique.Once the music commences, we are soothed and gradually begin to take notes during the listening session with our thoughts, comments and observations. Yes, it happened, but only after a good two hours, this player performs just as well with all music genres! This view remained unchanged after several consecutive days spent listening. 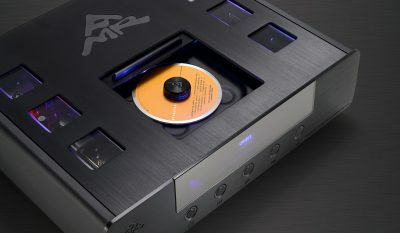 After spending time with the AMR CD-77, any concerns that there are any flaws in this machine are dispelled and we quickly come to one conclusion – without doubt this CD player reproduces music in a most realistic way. This is an extremely elegant and noble machine. It is not a Ferrari, but a Bentley! With a natural and extremely smooth transmission it is supported primarily with great musicality and attention to each detail. So forget about the typical excessive tube warmth and sterile coldness. The color is “natural”, which is totally refreshing. There is no room for artifacts or manipulation or imposing its own sound. This is music in its purest form of bit correct analogue reproduction! It is these associations that bring to our mind, vinyl. 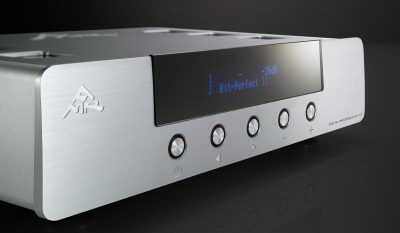 While listening, the AMR CD-77 does not evoke thoughts of various frequency ranges. Music emanating from the speaker is of a homogenous form, creating the sensation of freedom and a lack of colouration apparent with typical sources. Of realism, look no further than the full, three-dimensional sound image stereo. In “Better Be Home Soon “by Andrea Zonn the notes are almost at your fingertips, and the great layering and depth of complex scenes creates a sense of dealing with music as a live event. There remains a proper balance between size and different types of instruments. Vocals enjoy no less attention – is situated in the center, and is devoid of trace sibilance and consonants are natural. And all comes with reliably placed bass, with a perfect sense of rhythm and operating freely throughout. There is no question of any, thinning of body or even any trace of harshness whatsoever. which is what differentiates this player from all the others. The sound, the sense of dynamics, in fact, the entire stream of information that enters our ears is in the most homogeneous and purest form. Differences between different instruments are created and communicated clearly, therefore, subject all important aspects: colour, naturalness, clarity and great presence are evident. 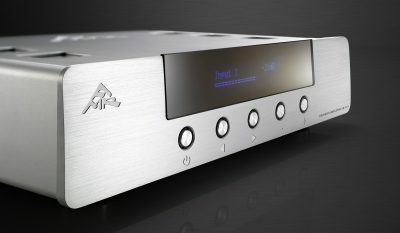 The AMR CD-77 has just come in right at the top of our wish list: with its ability to replay CD with an unprecedented level of finesse and musical fluency as if it was performed live. We are pleased to hear yet another reviewer likens the CD-77 sound quality to vinyl, which to us, is the best compliment possible for digital playback. Please do not use this form for product support enquiries. If you have a query relating to the operation of any of our products, please use the iFi audio Support Centre.